I'm so excited to bring you another month of this feature! 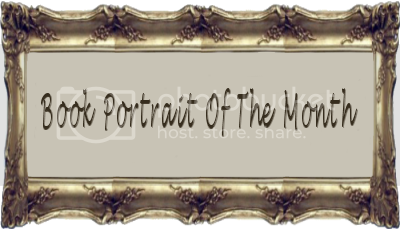 Book Portrait of the Month will showcase one book that has a cover/synopsis/etc. that I find particularly striking. In each post I hope to include teasers and author interviews or guest posts (when possible), as well as a giveaway. Hopefully this feature will bring more attention to some very deserving books! You can read my review of OF POSEIDON here. I'm very excited that Anna Banks was kind enough to participate in this new feature! Please take a few minutes to learn more about this author and her book. If this were twitter, how would you pitch OF POSEIDON in 140 characters or less? First of all, this was hard! Why would you do this to me? Are we enemies??? To unite two kingdoms, Galen teaches Emma to use her Gift. Too bad he’s falling for her; her Gift destines her to be w/his older brother. From where did you draw your inspiration from the story? Have mermaid tales always appealed to you? Okay, so I never actually read a mermaid book before I started to write one. I was looking for something to write besides vampires, weres, etc. Then I watched this documentary about how they’d found a giant squid—something scientists had long written off as myth, fishermen’s lore. Then I wondered what else could be out there that we don’t know about? Could mermaids exist? (After doing so much research for the book, I decided that mermaids *could* actually exist. But don’t tell anyone I said that). What are your favorite quotes from Emma and Galen? Emma: Even more than terror, I feel the insanity of the situation. I’m about to ask a fish the size of my house to make a U-turn. Because Galen, the man-fish behind me, doesn’t speak humpback. From the characters in OF POSEIDON, which do you connect with the most? Which did you enjoy writing the most? I’m sure most people would agree that this cover isbeautiful. Was this the originalcover, or were there other drafts? What did you think when you first saw the proofs? This was the first and final draft. Well, a little tweaking to the font, but not the image, and I think it’s obvious why. When I got the email from my editor and saw my cover for the first time…I felt like the luckiest author on the planet. It was breakthaking, alluring, exactly what a cover should be. I was surprised how quickly I wrote it. It went very fast and painlessly, because I knew where I wanted it to go. It just kind of spewed out onto the page. I was also surprised how difficult it was to keep Galen and Emma apart because I really wanted them to get. Together. Already. Now that OF POSEIDON is finished and you are looking back, are there things about your writing process or the finished product that you wish you could change? 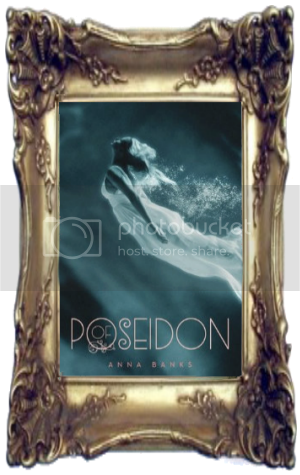 I am very excited to offer one copy of OF POSEIDON for a giveaway! This contest will close on Friday, June 1 at 12:00 AM CST. The lore behind this novel is incredibly intriguing. Cannot wait to read it for myself! I've been hearing great things about this novel and would love to read it for myself. Thanks for the interesting inteview and I love the cover! I think it's quite plausible for mermaids to exist also. I so can't wait to read Of Poseidon it has been in my TBR list forever. I am especially excited to meet the characters. Emma sounds like someone I would be friends with, Galen sounds like such a sweetie, and Toraf I know will have me laughing out loud anytime he talks. I love the book goes back and forth between Emma and Galen's POV and it will be so cool to see Syrena and it's people how Galen sees it. I can not wait for this book to come out I have been wanting to read it for a long time now!!! Thanks for the great interview I am even more excited after reading this!!! Great interview! I love how she came up with the story. Who knows what other mythical beings could be real?